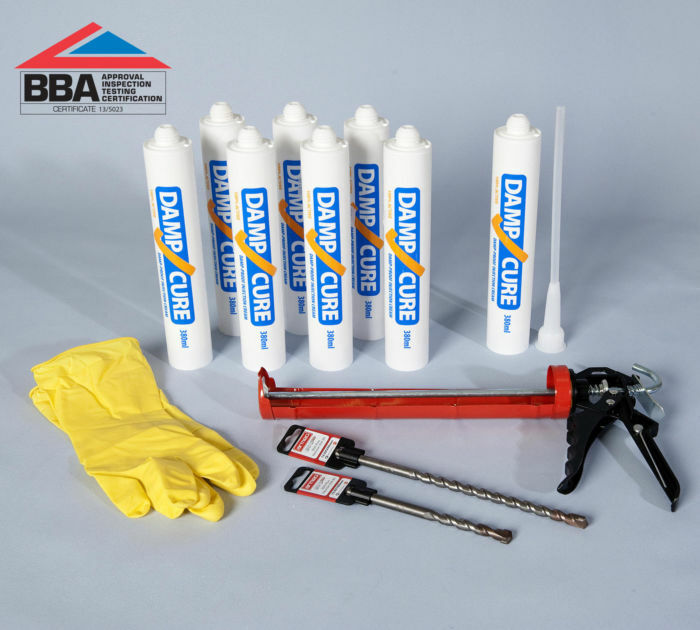 This damp course injection kit has everything that you need to treat rising damp in walls. This user friendly DPC kit includes a professional SDS Hammer drill, 3 Litres of damp proof injection cream and an injection pot. The kit has sufficient cream to treat up to 30m of single leaf wall or 15m of double leaf / cavity brickwork. 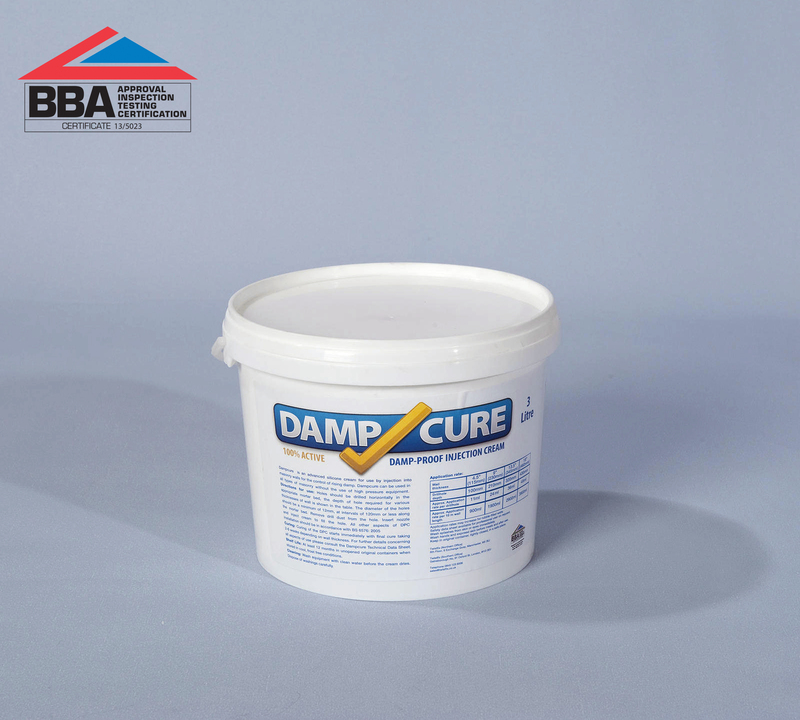 DPC injection cream is formulated using an emulsi­fica­tion process to produce a 100% active damp proofing treatment for builders and do it yourself enthusiasts. BS6576: 1985 requires that, as part of a remedial damp proof course treatment, damp plaster is removed from the walls and replaced with new plaster that includes a salt inhibitor.­ Leave as long as possible between insertion of the chemical DPC and renewing plastering, notwith­standing at least 14 days. Remove wall plaster to a level that is 300mm above height of the damp and take off skirting boards. Then drill a series of 12mm holes at 100-120mm intervals into the selected bed joint to a depth of 90% of the wall thickness. Simply fill the bore with the DPC cream to within 1cm of wall surface. Re-plaster the walls, using a waterproofing additive or a mesh membrane ensuring any cement render does not bridge the line of the DPC. Allow 1 month per inch of wall for the rising damp to fully dry out. A universal damp treatment kit for treating damp walls above ground level. 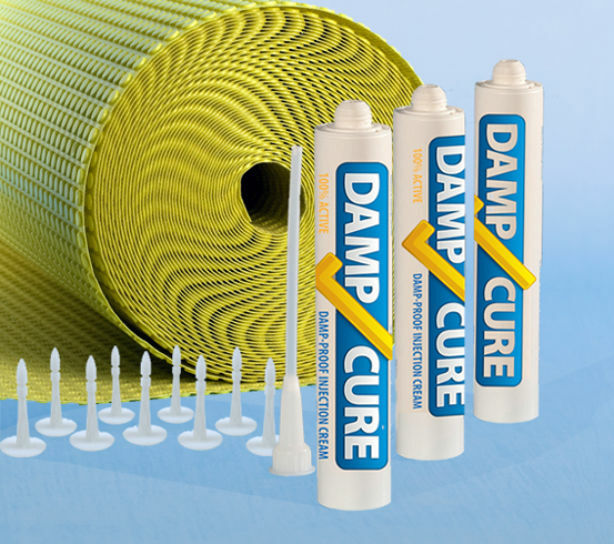 This 3 in 1 damp treatment system will stop rising-damp block penetrating damp and combat condensation. Options for 5m and 10m of wall.